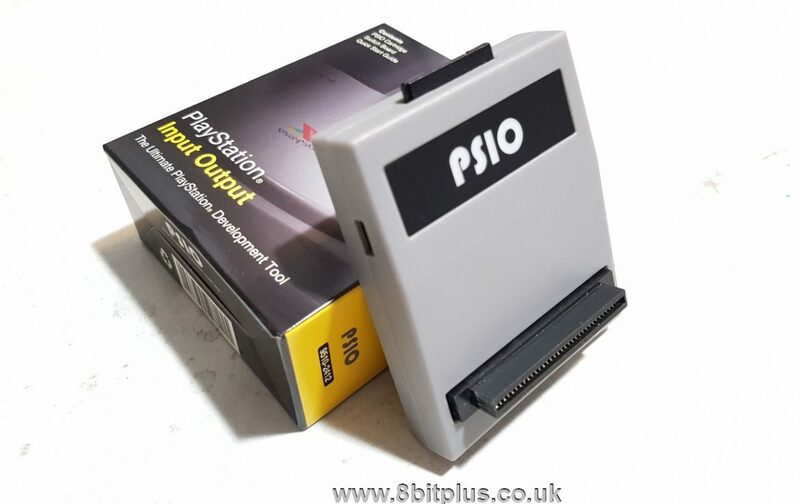 PSIO Flash Cartridge for Sony PlayStation. 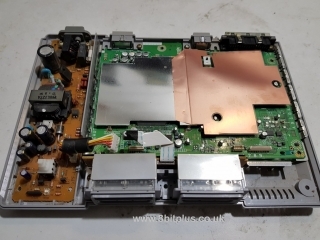 Installation, fitting the switch board mod. updating firmware and testing the PSIO. At last I have my PSIO cartridge! If you have never heard of this device, think of it like an Everdrive cart but for an original PlayStation. It can load CD images from an SD card, and play them just like the original game CD. 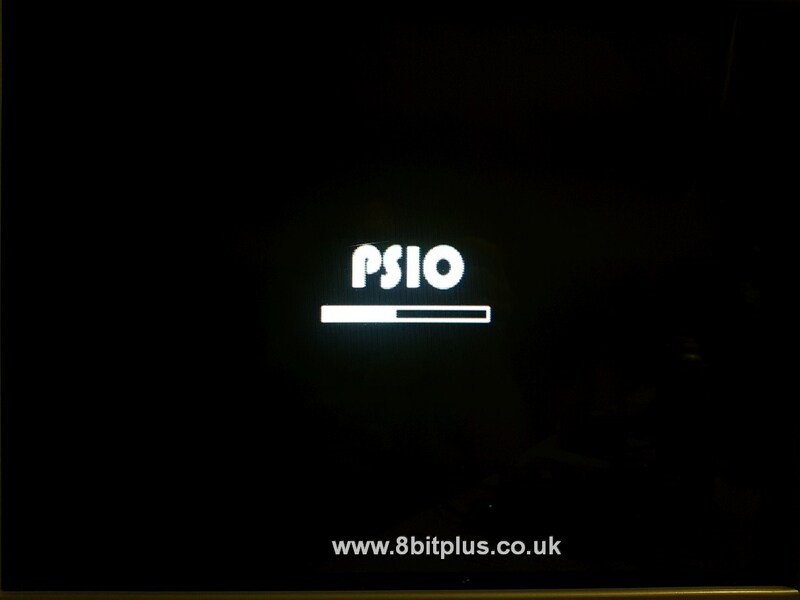 PSIO follows the modern trend of bypassing the CD drive and the need to play backups of your original games from CDR. 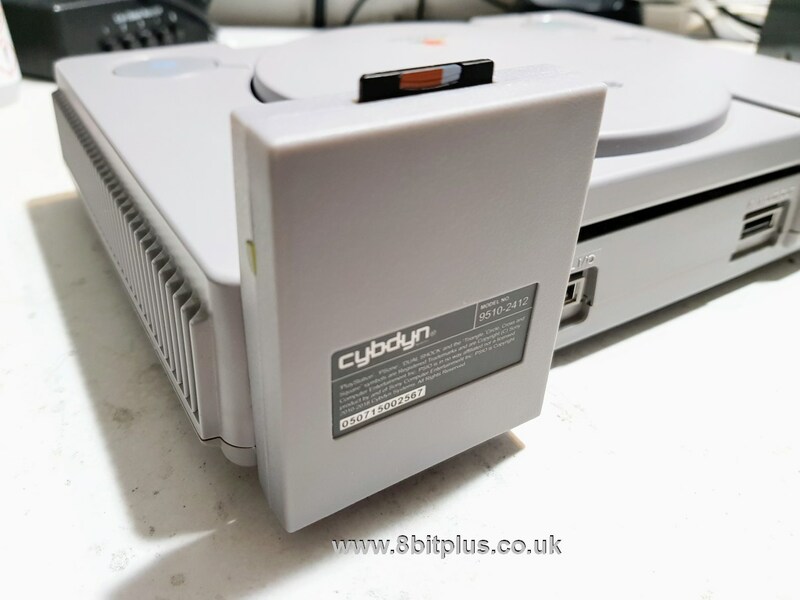 It also works if you have no working CD drive at all, and should be more reliable in the long run that CD-R media. PSIO supports up to 512Gb SD cards and is reported to be compatible with over 99% of the game library when correctly setup and provided with the correct game image formats. 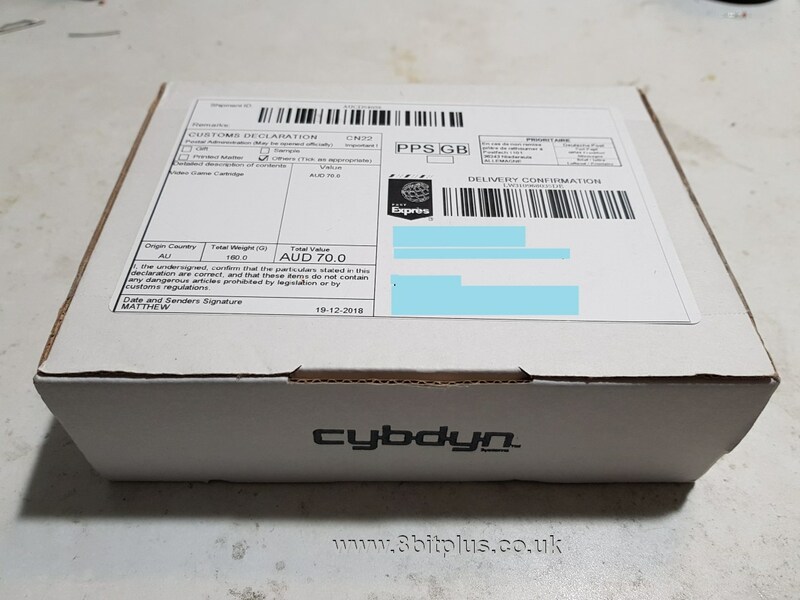 My PSIO was on pre-order directly from Cybdyn Systems. It was around 9 month from placing the order to getting the PSIO. This was because PSIO manufacturing has still not reached the point of being able to meet supply and demand. 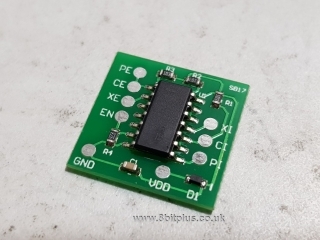 Pre-orders are taken, parts ordered, PSIO made and dispatched in groups. Mass production will happen in the future. That said I was very happy to wait for my cartridge. When it arrived I was very pleased to see a professional product, packaged and shrink-wrapped too. 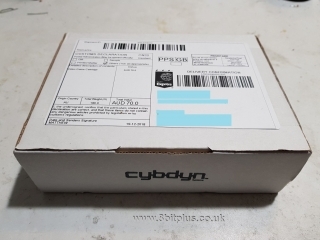 Inside the box you get a PSIO (obviously), a Switch Board and a startup guide. The flash cartridge its self looks great. 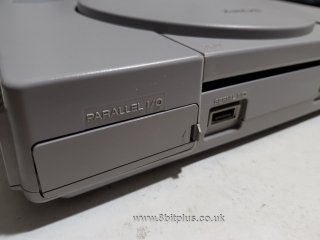 The plastic shell is a perfect match to the console. it feels strong and well made. Time to install it in my PlayStation. To use the PSIO you need a PlayStation with the Parallel IO port located on the back. If you dont have this port, then bad luck, PSIO wont work. The PSIO clearly plugs into this port, but first we need to install the Switch Board. 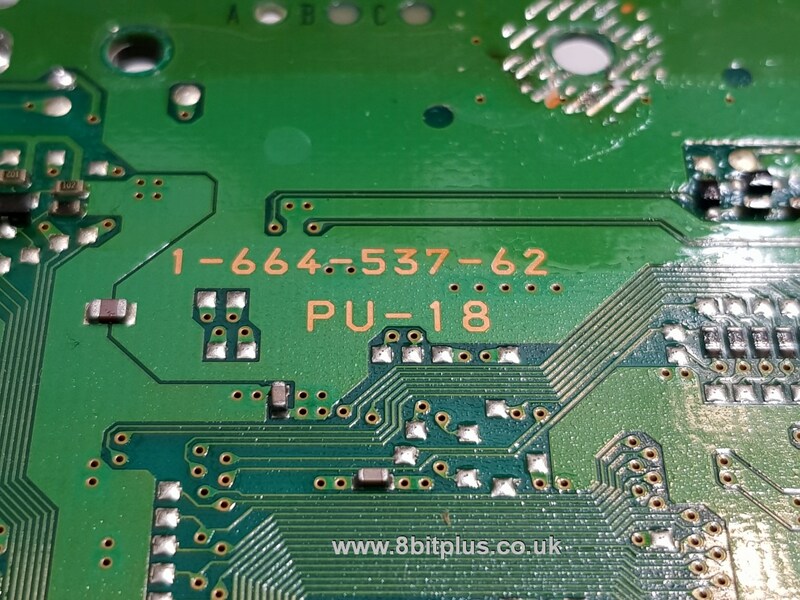 This little chip needs soldering to the underside of your motherboard. 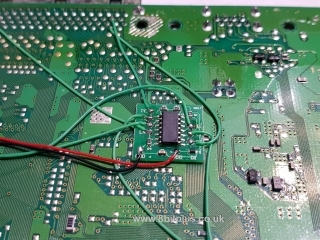 The purpose of the switch board is to direct some signals to parallel port. It doesn’t interfere with any other operation of the console and will not affect playing original games. 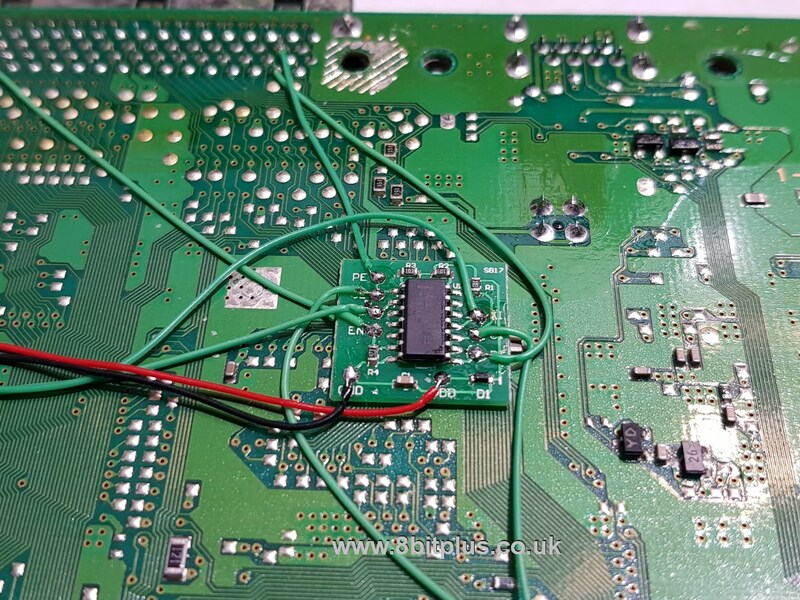 Installation is a little tricky and involves cutting traces on the board and soldering to very small points and via’s. Taking a PlayStation apart is so easy. 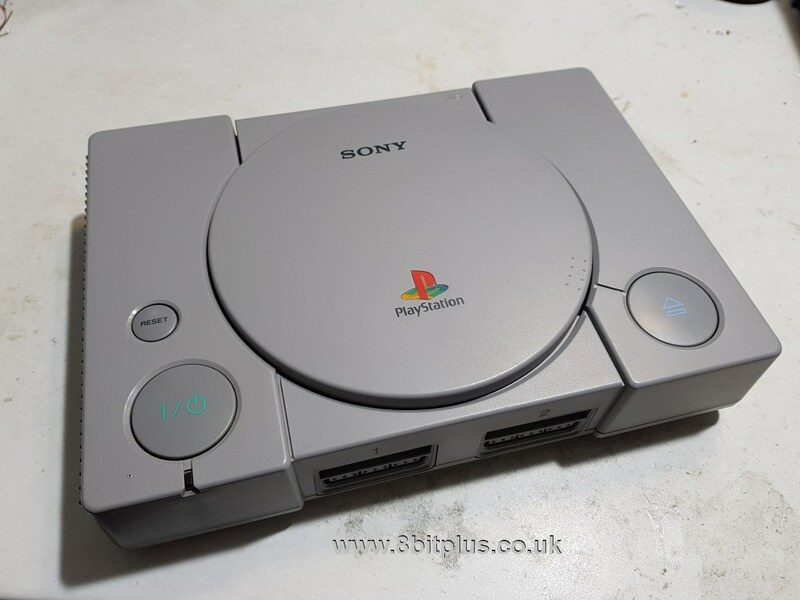 You can really tell Sony were cost reducing the console right from the start. So few components. 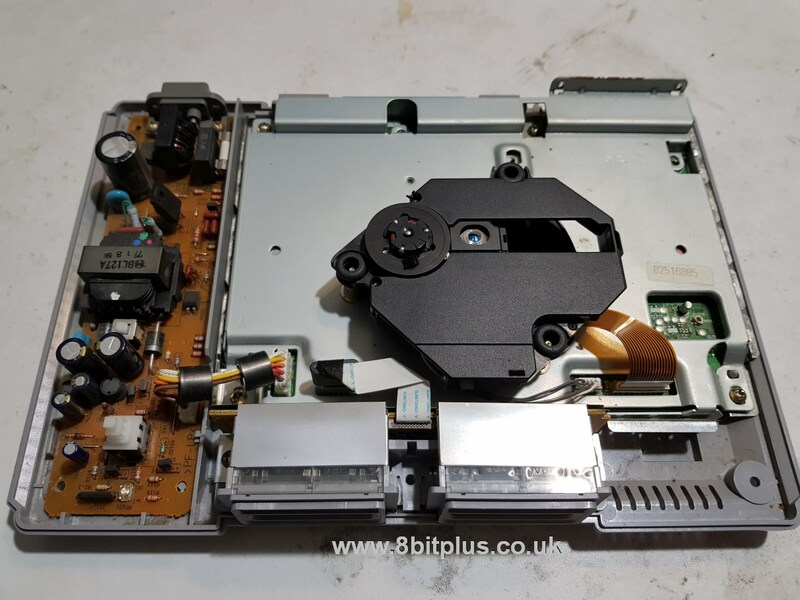 just remove a few screws, the CD-rom and the RF sheild. Easy. My board is reversion PU-18. I went along with the installation of the switch board. This takes about 20 minutes. As I said, some traced need cutting which is easy to get wrong and damage your motherboard. The instructions are very clear and comprehensive though so take your time. 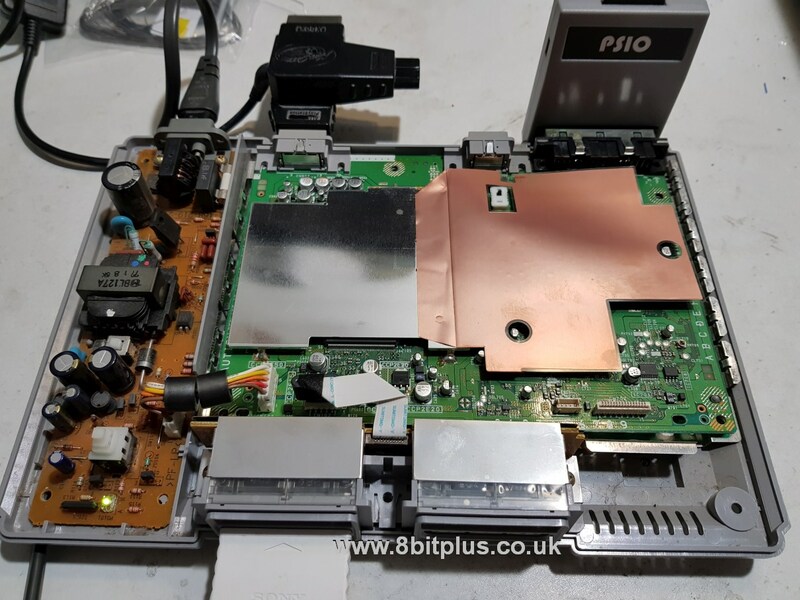 With the board installed and the PSIO plugged in its time to load a few files on the SD card and try it out. Next we need to upload a few files to the SD card. 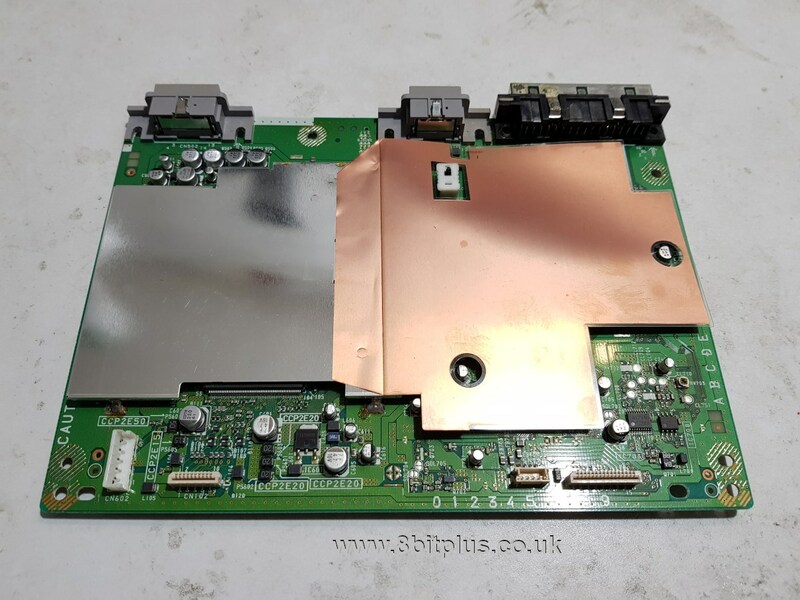 Menu System, ARM Firmware, FGA Firmware. The first file is needed to stay on the SD card. The other two need deleting after they are installed. 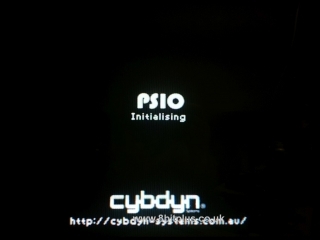 When the PSIO boots up, it checks for update files on the SD card and installs them automatically. 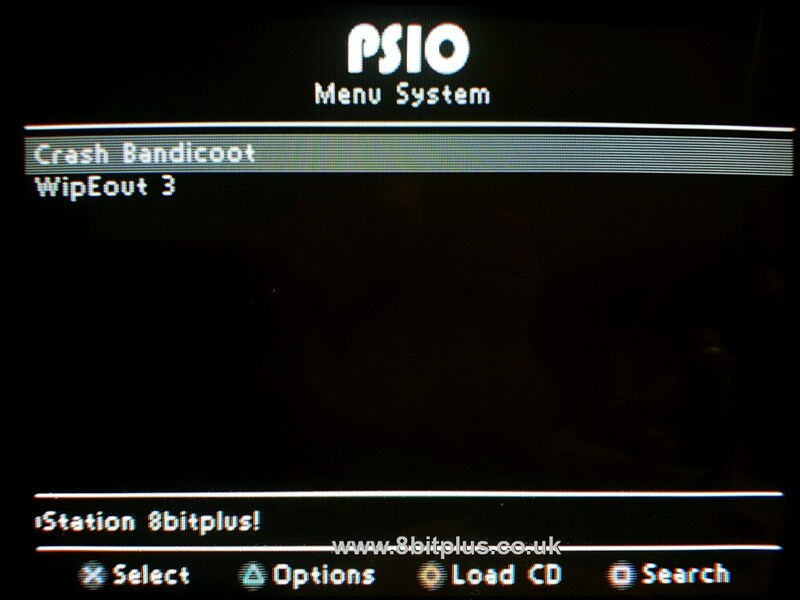 When the cartridge is fully updated (and you’ve deleted the update files off the SD card) the PSIO boots fully and allows you to enter the setup. You can create a Username and set the screen frequency. No finally you get to the game selection menu. I only loaded a couple of games for testing, but I’ll have the whole card filled soon enough. You can even add cover artwork to make it look more interesting. Now its time to load a game. 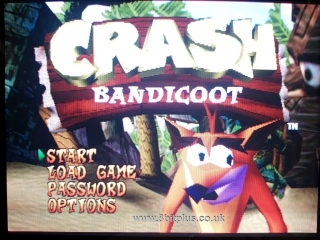 To start with I selected Crash Bandicoot and this game loaded perfectly and played exactly as I hoped. the next game Wip3out didn’t play any background music. This was because I hadn’t yet converted the game music files and created a CU2 file to address the CDDA audio track list. On the whole, any game with a single BIN and CUE file will play without problems. Multi BIN games need converting. Multi CDDA audio track games need a CU2 generating. The PSIO team provided a utility to do most of this on their web page. essentially you’ll have to spend some time to prep a game library for the SD card. SD cards: I know this is just my opinion but I’m not a fan of SD card systems for holding CD image games. 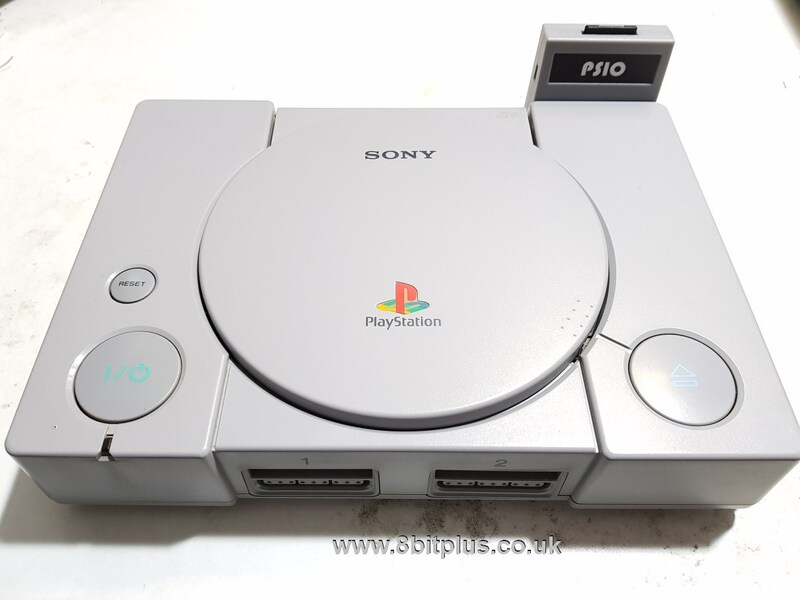 Its fine in an Everdrive for MegaDrive games and portables, but for PlayStation I’d like to have seen USB support for sticks and Hard Drives. 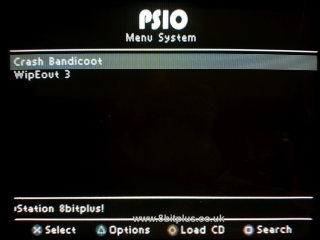 I’d like to have the complete game set if possible and this inst possible even on a large SD card. I do agree though it holds enough, but not all computers/laptops have a SD reader so having to keep adaptors around is annoying. SD can be slower for uploading than USB sticks. Storage is more expensive. Complications: This isn’t a plug-n-play solution like an Everdrive. To be fair it couldn’t be. 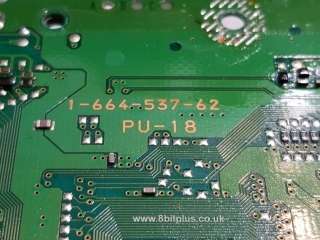 Soldering skills and knowledge on preparing your game images are needed to get the best from the PSIO. 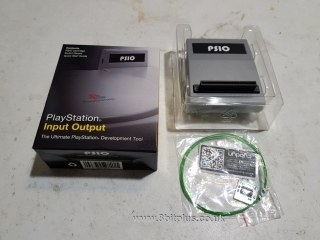 Compatibility: Its stated that the PSIO is compatible with 99.5% of PlayStation games. This is true but you will often need to modify the game image to make CUE/cue2 files if the games needs more than one track and CDDA music. It can take time to get your game library up an running. This is just how it is. 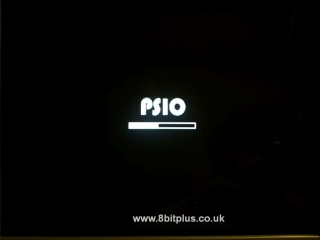 Stability: In the time I’ve tested the PSIO I’ve found no problems with stability. Documentation: https://ps-io.com/ had all the information easily accessible to get the PSIO going. 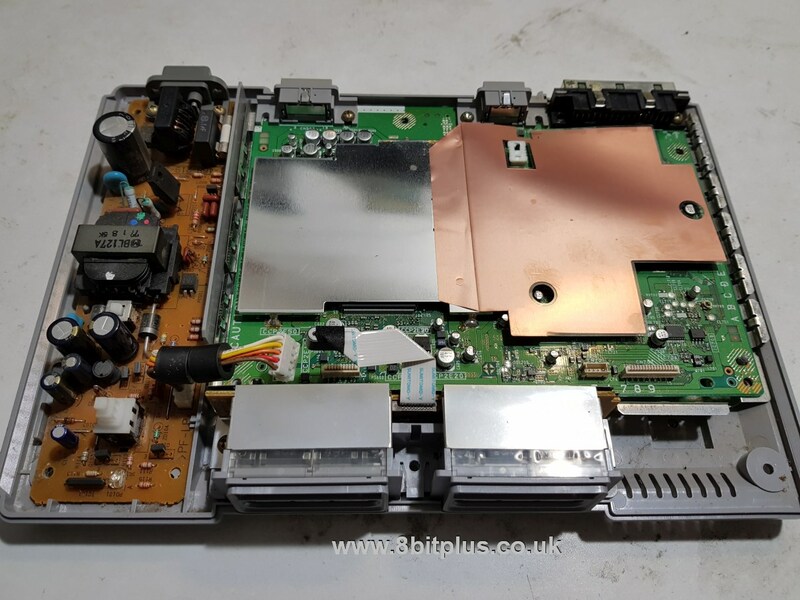 The download section contains a very comprehensive manual and Switch Board installation guides. Quality: I was astonished with the quality of this product. From the professional box and packaging to the feel of the product. 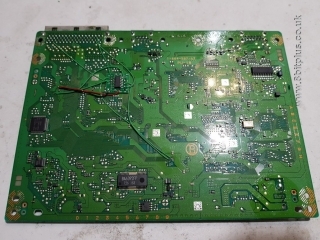 The Switch board too is well made and includes wire. 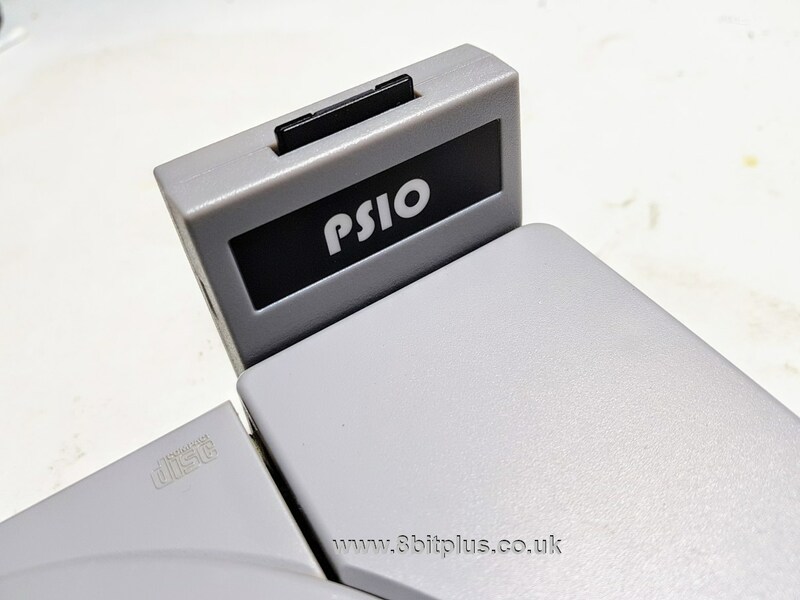 So in conclusion, I would recommend the PSIO to PlayStation enthusiasts who will get the most out of it rather than the casual retro gamer. 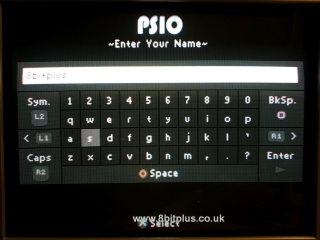 If you invest on a PSIO and do have the time to reorganise your ISO/IMG collection and generate the extra files, then you’ll like the PSIO. 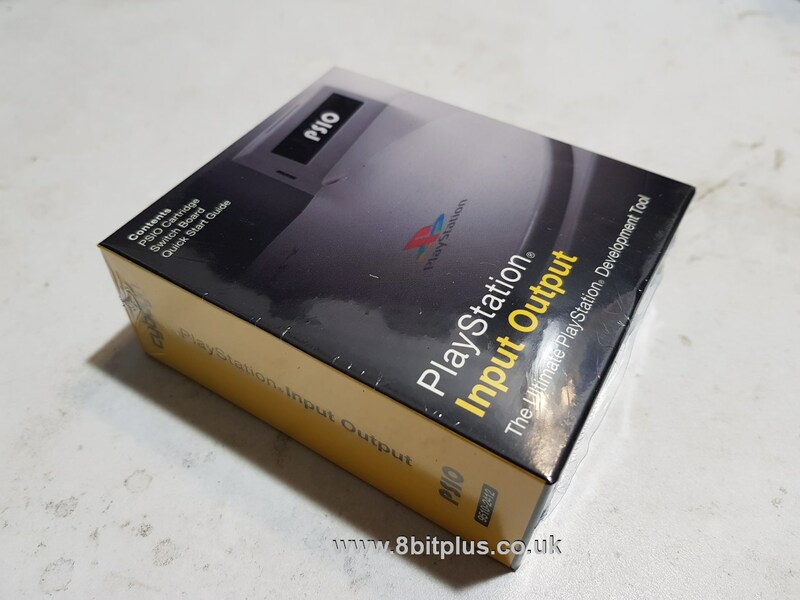 I’ve always found the PlayStation Drive far less reliable than other CD consoles, so being able to play games on the original console without worry that the game will fail is great. if you need help installing the PSIO Switch Board, please get in contact here. I’ve already install this for a number of customers.